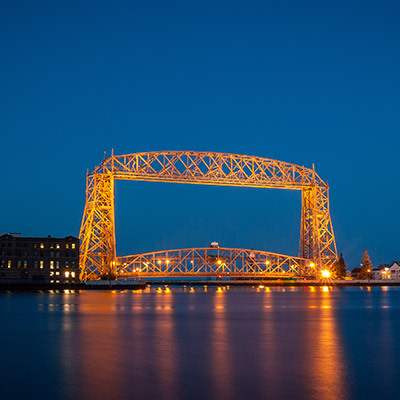 Duluth in the city of Minnesota is a city of four-seasons and mostly seeks adventure lovers. It is hard for people to bypass outdoor fun because of the natural beauty that surrounds the city. When you are booking low-cost flights to Duluth, one must be aware that this seaport city have enjoyed a long maritime history for trans-Atlantic crossings, known for the westernmost point of the Great Lakes, public parks, dining, shopping, and museums. Lookupfare, as the name goes is well known in the US travel industry for providing cheap flights to Duluth anytime of the year. The best time to be visiting Duluth is summer and early winter for it is the best time for outdoor adventure activities. North Shore Scenic Drive: This is a heritage rail road surely needs your attention and a ride on this train ought not to be missed. The rail operates between Duluth and Two Harbors in in Minnesota. Spirit Mountain: Developed in 1974, this is an outdoor recreation area that offers mountain biking, skiing and snowboarding. Do not miss the magnificent view of the slopes – Lake Superior and St. Louis Bay. SS William A. Irvin: History says that SS William A. Irvin was a lake freighter, named after William A. Irvin and it sailed as the bulk freighter on the Great Lakes as part US Steel's lake fleet. The ship was refurbished and moved to Duluth in Minnesota. And, now maintained as the classic laker, and a prime example of a straight decker, as she has no self-unloading system. Lake Superior Railroad Museum: As the name suggests, it is a rail road museum in Duluth. The museum houses seven steam, fourteen diesel and two electric locomotives along with 40 pieces of rolling rock. Hawk Ridge Bird Observatory: Now, this one is surely a paradise for bird watchers because it is a nature preserve and hawk watching area. Located on the East Skyline Parkway in Duluth, the conservatory also hosts educational programs on protecting birds of prey and migratory birds. Plus if you happen to travel to Duluth with your family then, do join one of the hawk watching workshops. Duluth Children’s Museum: So, if you are traveling with the family and kids then make sure you visit this museum as this is the place to nurture their lifelong their explorer minds. Every day there is something or the other going on that includes exhibits and programs, visitors experience, science, technology, engineering, math, history and art through experiences. Lake Superior Zoo & Zoological Society: This is one of the personal experiences of our guests. Duluth Zoo is a must-see and kids visit to admire those hundreds of animals. There are summer camps organized every month that are open for everybody. Make sure you are wearing those comfortable shoes. This is not the last of the attractions but the list is quite endless - Canal Park, Skyline Parkway, Park Point, Grandma’s Saloon & Grill, Lake Superior Maritime Visitor Center and Glensheen, the Historic Congdon Estate are amongst the many attractions that you got to visit if you plan to go to Duluth anytime soon. For the spectacular waterfalls in an around Duluth city in Minnesota will surely make you book flights to Duluth. And, you know it well where to find cheap flight tickets. With Lookupfare, the simplest way is to give us a call on our toll free number (1-888-509-5589) and talk to one of our travel experts to guide you through your booking. Or, download our Android & IOS mobile app and book tickets from anywhere on-the-go. Do not forget last minute flights to Duluth are also available at unimaginable rates. So, book anytime and from anywhere. From round trip tickets, to one-way fares, senior travel deals, military travel deals, deals under $99, we have got something for everyone. All you got to do is just trust us on finding you the best air deal for you.